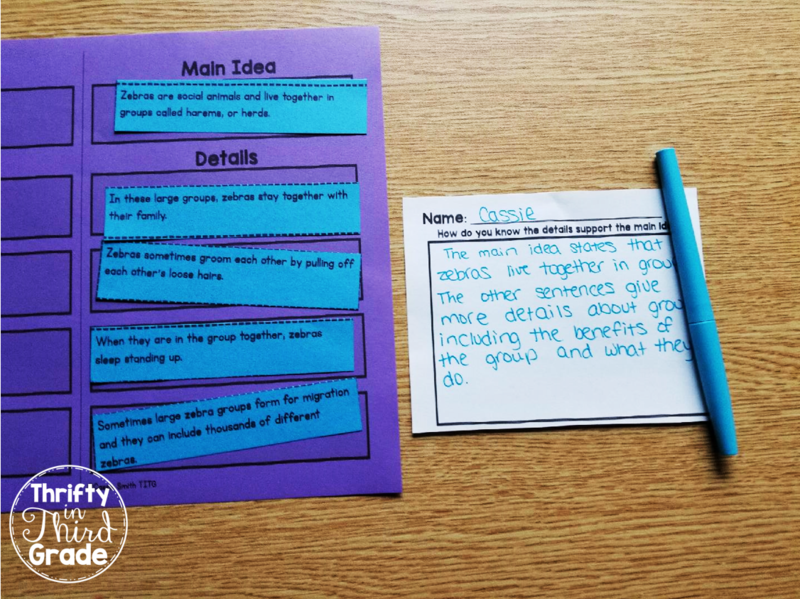 Getting students to grasp the concept of main idea and details can be difficult. 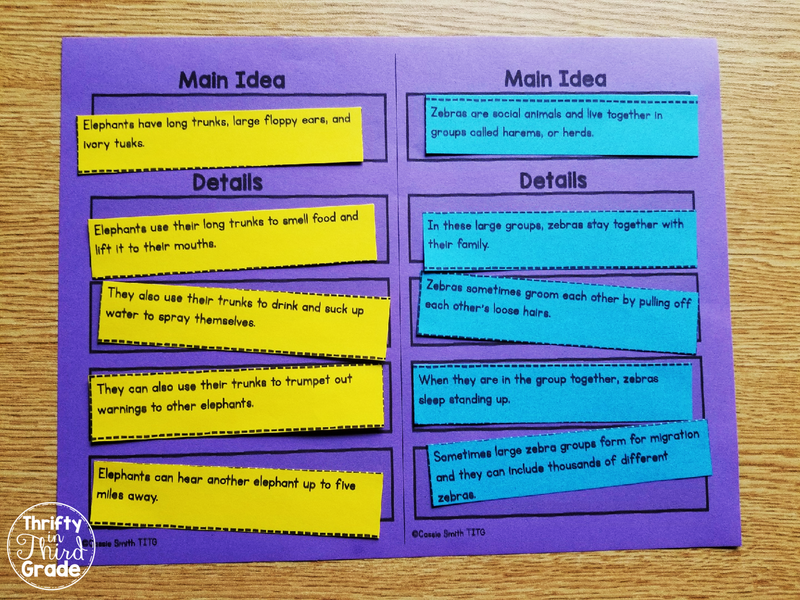 The idea behind this activity is for students to understand what it means for details to support a main idea. 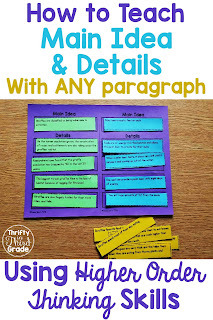 When they are given the sentences to the paragraph all mixed up and out of order, it requires them to think about which of the details supports another. Are all of the other sentences about this one? 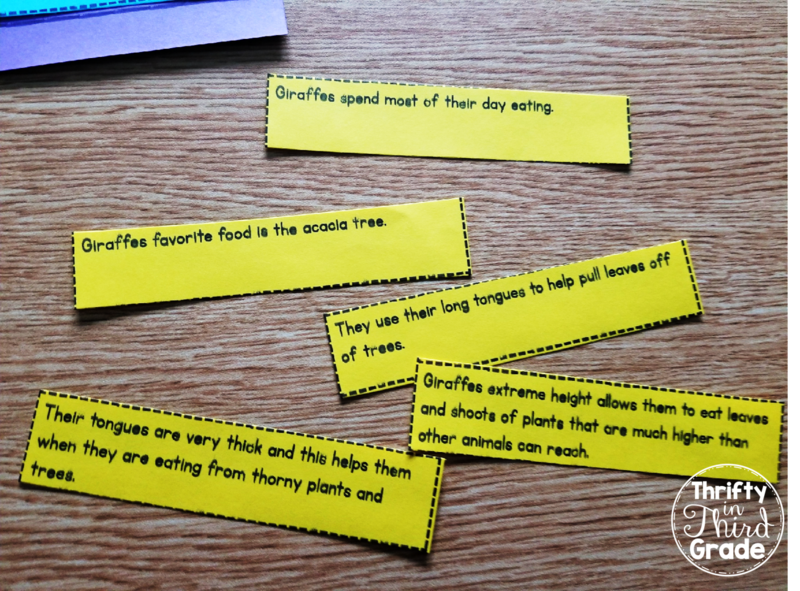 Are these sentences related? What is the main idea the author is trying to tell me in this paragraph? 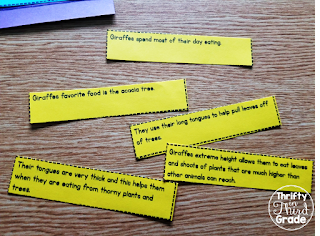 This activity engages them in a higher order thinking task, and requires reasoning skills. 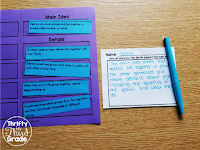 You can do this activity with any paragraph of sentences by simply typing them up and giving them to students out of order. 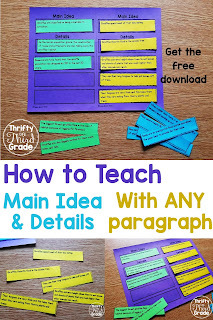 You could even write the sentences to the paragraph randomly on the board and have students recopy them as a paragraph that begins with the main idea. You can try the activity shown in the photographs for free. 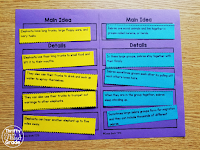 I also have included a response sheet so students can write and explain why one sentence is the main idea. 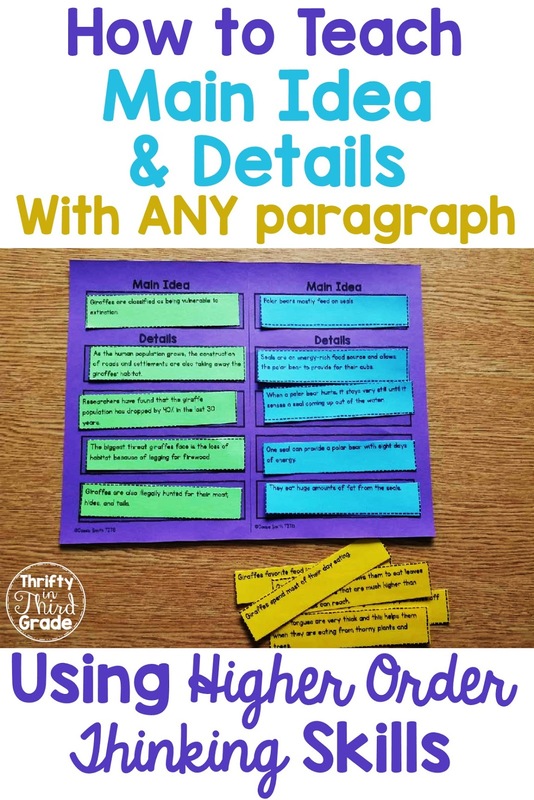 The file also includes writing extension ideas for older students! 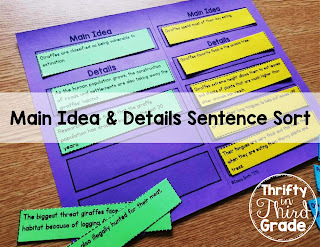 You can get this main idea and details sentence sort for FREE when you subscribe to my newsletter at the bottom of this post! 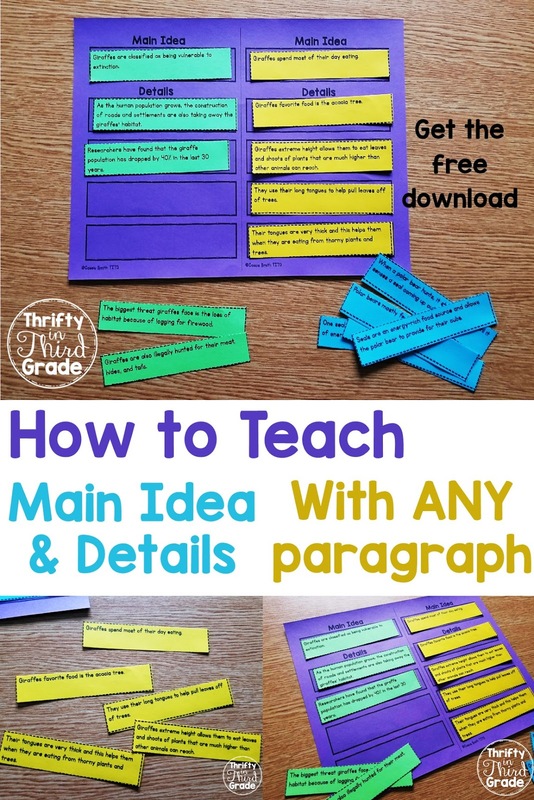 If you like it, be sure to check out this resource in my TpT store! It is a bundle of all my Main Idea & Details Sentence Sorts! 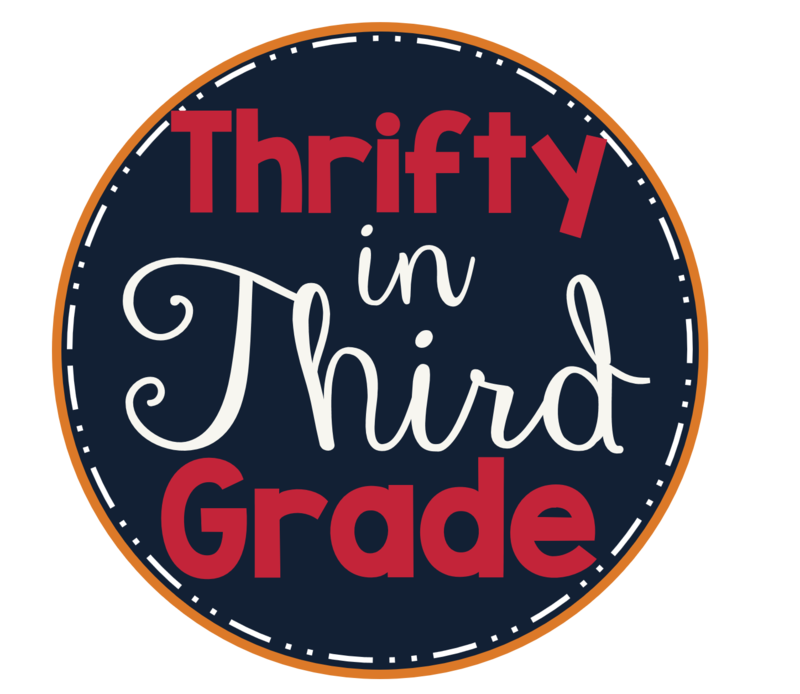 You can change your mind at any time by clicking the unsubscribe link in the footer of any email you receive from us, or by contacting us at cassie@thriftyinthirdgrade.com. We will treat your information with respect. By clicking below, you agree that we may process your information in accordance with these terms.